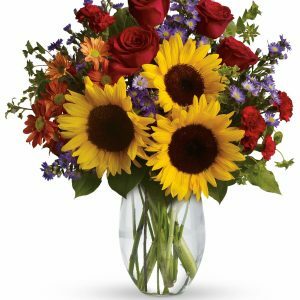 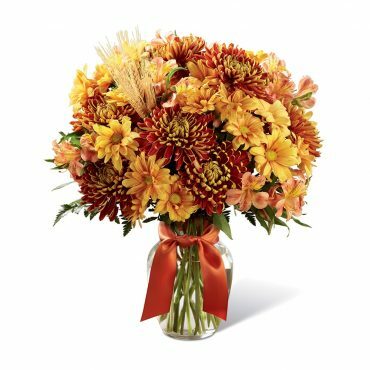 Leading to a journey full of crisp fresh air and harvest sunlight, this stunning fall bouquet weaves together the fabric of this festive season. 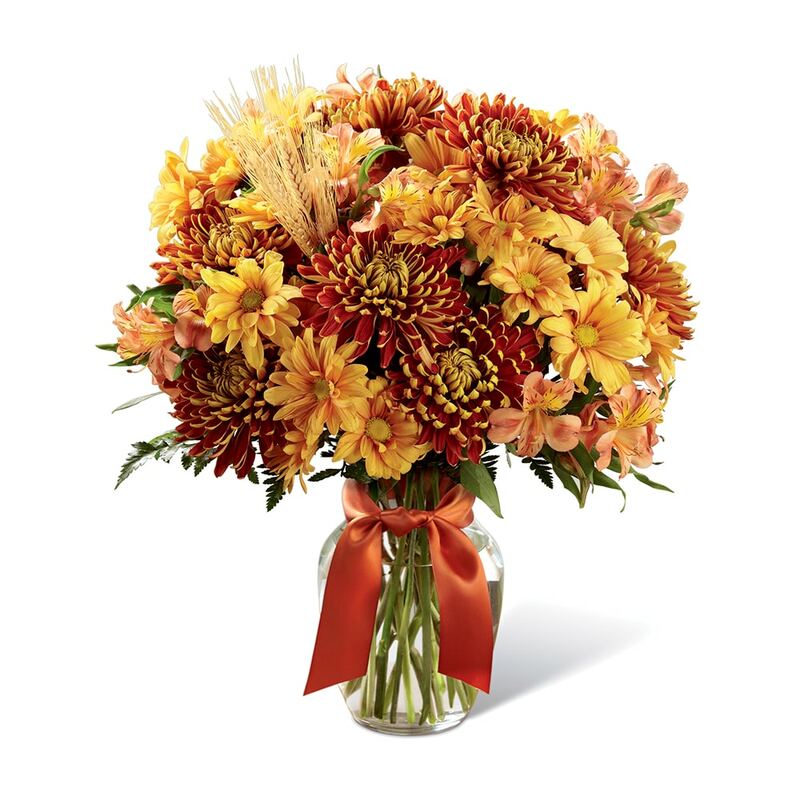 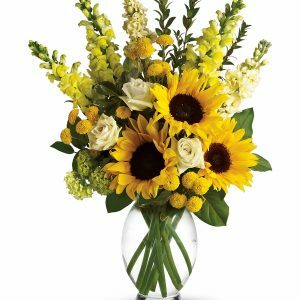 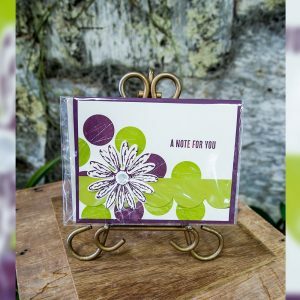 Bronze chrysanthemums, orange Peruvian Lilies, and butterscotch daisies blend together to create a warm and inviting bouquet accented with lush greens and dried wheat stems to give it a homespun, natural look. 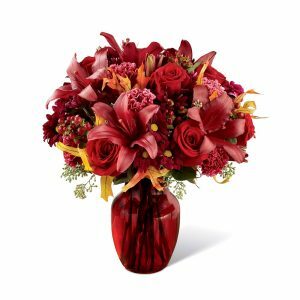 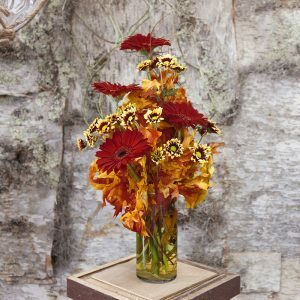 Presented in classic clear glass vase tied with a copper satin ribbon at the neck, this autumn flower arrangement is set to create a memorable thank you, thinking of you, or Thanksgiving gift.